Much has been said lately about Microsoft’s newest version of Internet Explorer, but Mozilla is picking up the slack with the release of Firefox 4. Since both of the well-known companies have been losing customers to Apple and Google, it is no surprise that they have respectively attempted to use their large install bases to release updates that push browsers forward. Firefox 4 now builds upon the already strong foundation of its predecessors, adding hardware acceleration to make the experience faster and malware protection to be safer. 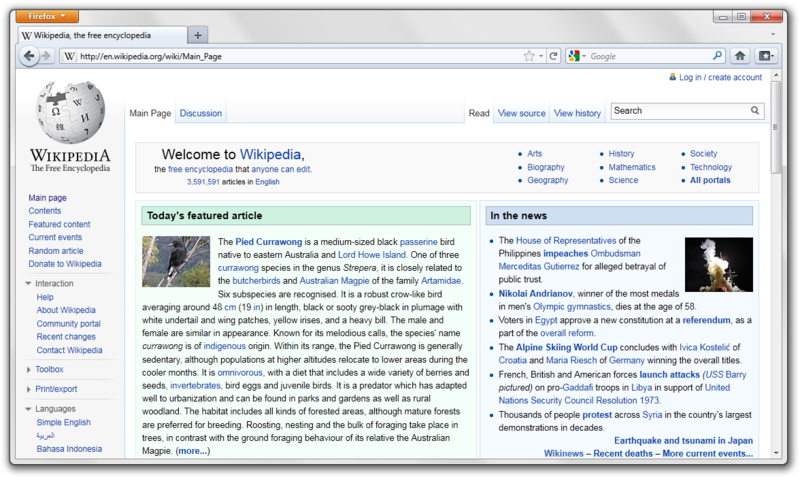 Internet Explorer 9 features a complete design overhaul with a minimalist user interface and compliance with well-established standards. It’s the battle of the browsers as two technology monoliths go head-to-head. In one corner is Mozilla, a non-profit organization priding itself in delivering an experience centered on the core consumer. In the other is Microsoft, the same company that has delivered notoriously lackluster performances in the past. Who will come out on top? Microsoft made the fateful decision to move away from a clunky, overly complex user interface and adopt a minimalist design that utilizes screen space to deliver better performance capabilities and Internet management in Internet Explorer 9. With Pinned Sites, IE9 integrates with the Windows 7 taskbar to make experiences similar to applications. When users open new tabs, a helpful page shows most visited sites, and the tabs are shown next to the address bar. Firefox 4 refreshes an already satisfactory user experience designed to make the browser feel faster. It features improved “doorhanger” notifications, tab organization, a redesigned extension manager, integration with Firefox Sync, and multitouch support. Tabs are now on top of the window and the Stop, Refresh, and Go buttons have been combined and placed at the right of the address bar. 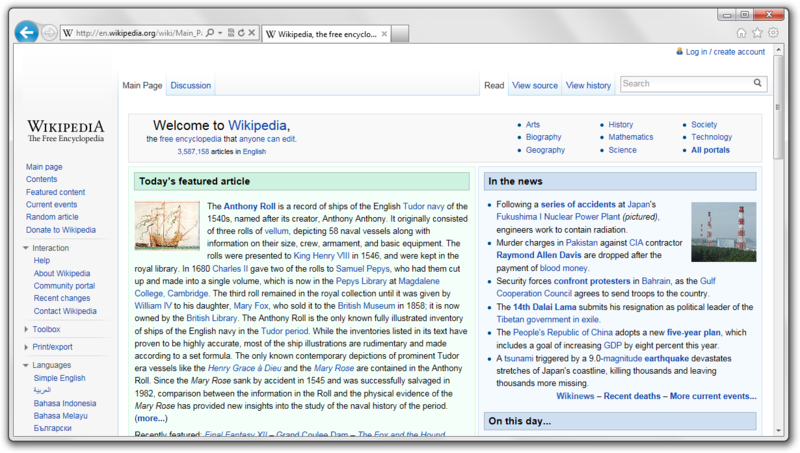 Users can create app tabs, customizing the tab bar, delivering an experience similar to IE9’s pinned tabs. The productivity-oriented design of Mozilla ultimately trumps Microsoft’s minimalist offering, combining style with functionality. Though many have been quick to criticize Firefox 4 for moving tabs to the top of the address bar, it is intuitive and easily adjusted to. The address bar feels more powerful while also maintaining the same functionality as its predecessor. Despite the fact that Microsoft did in fact take the evolutionary steps necessary to keep its browser somewhat modern in presentation, it pales in comparison to Firefox 4. 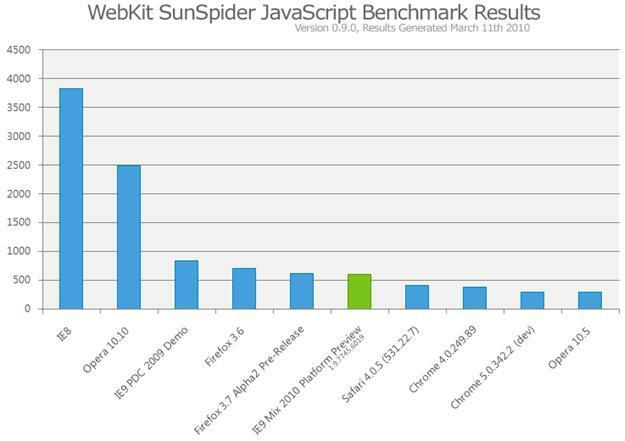 Note: The above graph bases its assumptions on pre-release versions of Firefox and is listed only to demonstrate the monumental increase in speed in relation to Internet Explorer 8. Overall, Microsoft was able to bring forth a snappier experience than its previous browsers, the evidence being numerous speed tests that specifically showed better flash performance, but Firefox wins by a small margin. Page loads linger on Internet Explorer 9, but Firefox features a better animated interface that feels better. Both browsers open up quickly and overall speed is good for both. Many will not even be able to discern a difference, but for those who are constantly counting on hardware acceleration and reliability, Firefox 4 is the clear victor. Microsoft has always had trouble complying with well-established industry standards set forth by W3C. However, with Internet Explorer 9, the company has finally embraced HTML5, which will likely result in a large drop of Internet Explorer-exclusive hacks. Firefox 4 has constantly been compliant with these standards, a dedication reflected in the Acid3 test, which gives Firefox a 97/100 score and IE9 a 95/100 rating, indicating that Firefox is slightly better than IE9 in this respect. One of the key areas in which Mozilla trounces Microsoft is developer support. 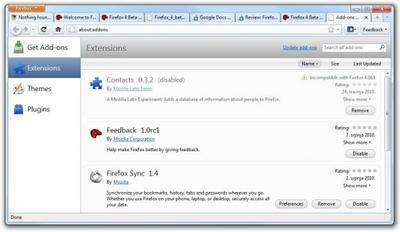 With the largest body of additional add-ons and extensions, Firefox has the greatest developer support. With Firefox 4, a better way to manage these extensions has emerged, which means that the high customizability of the browser can only be utilized to a greater extent. The key to Microsoft’s success is developer support. Late to the game with promoting such activity on its browser, Google and Mozilla have both pulled ahead in this respect. Without developers, Microsoft’s browser is forced to stand on its own two feet, in which case it does not even come close to the unique offerings of its competitors. With all of these additional features and modifications, it is difficult to believe that there are still some areas in which each browser lacks. For Internet Explorer 9, WebGL, CSS3 transitions, file API, CSS3 gradients, drag ‘n drop from desktop, and an offline app cache stand out as notable shortcomings. Meanwhile, Firefox 4 only has one noticeable feature lacking, text overflow. Though Microsoft was able to make up for the many disappointments that came from previous versions of Internet Explorer, it is undeniable that Firefox 4 is the more complete browser. Perhaps Microsoft can change this through future software updates, but the fact of the matter is that many of Firefox’s features have been around for years, making Internet Explorer outdated. Though both Internet Explorer 9 and Firefox 4 are much better than their respective predecessor, there is no denying that Mozilla’s offering is clearly superior. More compliant, cleaner, more productive, faster, and lacking less than Microsoft’s program, Firefox 4 takes the steps necessary to push the browser forward while maintaining the same functionality as its predecessors. But that is just one person’s opinion. What do you, Internet enthusiasts, believe? 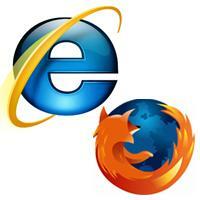 Is Microsoft putting forth a definitively better experience with Internet Explorer 9 or is the obvious winner Mozilla? Sound off in the comments below.